Through the complete range of S?nnet Beskerming products and services, you can gain access to top Information Security expertise and value. Why not start improving your Information Security position, today. 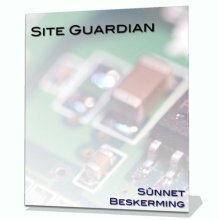 S?nnet Beskerming provides a range of Information Security products and services that have application across a broad range of industries and use types. If you have an Information Security need which isn't mentioned on one of the subsequent pages, contact us. Some of our more sensitive services are not publicly advertised, and are offered for clients who wish to maintain their discretion or who have special requirements. At the end of the day, if we can't do it, then we are sure to know someone who can. 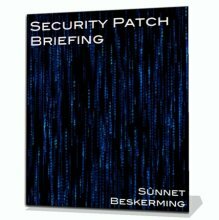 Do you need or want to know what is in those security patches that your system is bugging you to install on a monthly, or infrequent, basis? This solution provides guidance on what exactly is in each patch, and what you should be aware of as you install it on your system. Know before anyone else. S?nnet Beskerming's dedicated researchers hunt out the latest Information security threats and issues before they turn into active attacks and problems for end users. This service covers all major threats that are detected, and provides recipients with an early detection and mitigation mechanism - protecting against when the threats become attacks. Deriving from the Generic Advisory Service, the Focussed service provides a special focus on what is going to affect you and your systems, by specifically hunting down and notifying threats that are likely to impact you. 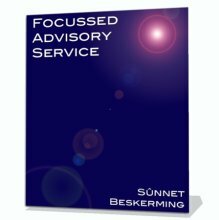 Much like a Focussed Advisory Service for your website. Keep up to date on what the latest known vulnerabilities are with your website software, what the emerging attack techniques are (and how to defend against them), and be notified within 12 hours of an attack against your site (some options include forensics followup and investigation). Here at S?nnet Beskerming we recognise the importance of a strong and vibrant community. S?nnet Beskerming has a range of offers and incentives that can be offered to community groups to support their ongoing operations and encourage development of members. S?nnet Beskerming provides capabilities for Web Application and standalone application development focussed on several key industries. In addition to development focussed on a secure data and user model, S?nnet Beskerming provides a number of practical security services to improve overall client security. The Advisory mailing list is part of these services. An effective value multiplier, S?nnet Beskerming consulting can be used to guide and implement a complete security solution and package for clients. From concept and design, through to implementation and support, it is covered by S?nnet Beskerming consulting. A new addition to the S?nnet Beskerming suite of services, several in-house software tools will soon be released under open licences for the wider developer community to make use of. We recognise the importance for developers to have useful, usable security tools at their fingertips and helping the community out will eventually lead to better designed software (from a security point of view).